Triple AAA Storage wants to provide some tips for storing your decorations, to prevent your house from being haunted by ghosts of holidays past. 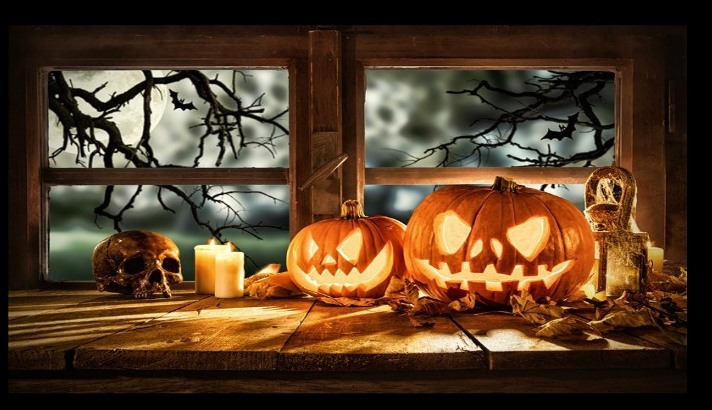 As soon as your Halloween celebration is over, care for your decorations and costumes. When cleaning your Halloween items, follow the care instruction laid out by the manufacturer. Avoid stains from distinguish your Halloween costume box from the Halloween decoration box. Before storing your Halloween costumes, allow them plenty of time to dry. If your items are wet during storage, it will be a breeding ground for mold and mildew. Plastic bins are a smart way to keep moisture ,bugs and other nasty surprises from damaging your decorations. Make it easier on yourself next holiday season by storing different holiday items in different colored boxes. Even though your Halloween tubs will be a different color than Christmas, Thanksgiving and Valentine’s Day, clearly label the box with a list of the contents. If stacking multiple containers, make sure the heaviest, most structurally sound box or bin is on the bottom. Some decorations need to hang in order to protect and preserve their shape. You can make the most of a hook or rack by hanging multiple items one in front of the other. If your items are made with fabric or other sensitive materials, you may want to consider a sealable garment bag. Costumes and masks could fit into this category as well. Many times, they will include a label with care instructions. To make sure you look your costumes look their best next year, pay special attention to those recommendations. If you’ll be stacking multiple light strands, use a cloth or padding to insulate the wraps from one another and their surroundings. Wrap all decorations individually with bubble wrap and place in designated Halloween container. . Climate Control storage units help preserves the longevity of your decorations. Triple AAA Storage has a wide variety of self-storage units, and packing supplies. Talk to the manager to find a solution that fits your needs. Triple AAA Storage makes it easy and affordable to keep all your Halloween decorations in one easy-to-access storage unit. So, instead of cluttering up your home with ghosts and goblins and scary bats, consider using a self –storage unit to hold all of your Halloween decorations. A storage unit makes for the perfect place to not only keep everything organized in one spot but also to help preserve the longevity of the decorations, ensuring you can use them year after year.